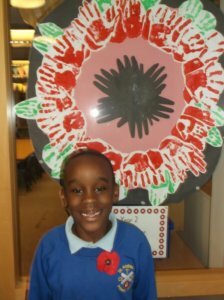 Year 2 proudly wear their poppies! In Year 2 we have been looking at the life of the Walter Tull and particularly his time in the army. We have looked at and thought about the importance of the poppy and the significance it has to us today. 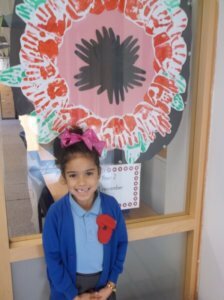 We made our own Remembrance Day Poppy wreath using our handprints and made our own felt poppies. We designed and made our badges using felt, buttons and safety pins. We are all very proud to wear our poppies.